Dr Gail Rees is Associate Professor in Human Nutrition in the School of Biomedical Sciences, and a registered nutritionist. Programme lead for the BSc (Hons) Nutrition, Exercise and Health, Dr Rees has a number of areas of active research including dietary interventions to improve nutrition in women during pregnancy; management of obesity during pregnancy and childhood; and vitamin D status in women and children. Eating fruit and vegetables is one of the easiest ways to improve your diet, your overall health and help with weight management. We all know that we should eat five portions of fruit and vegetables per day, but variety is also important. Push yourself to try different types; peas, beans and lentils are useful to add to soups and stews, especially as they are filling and can help you to cut down on meat. 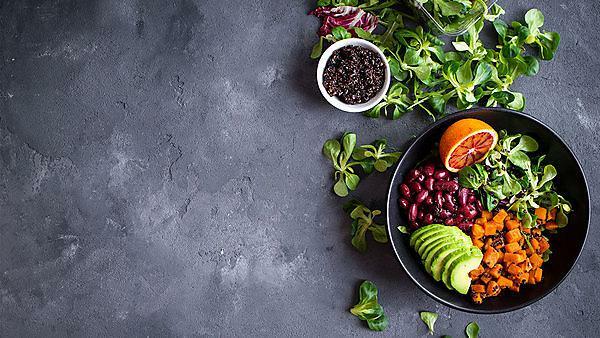 Look to include different colours as well – from beetroot to kiwi fruit – because those colours originate from different phytonutrients, which help protect against cancer, heart disease and premature ageing. You can use tinned fruit, but try to avoid those that are in syrup, and having a store of frozen berries and vegetables is convenient and can reduce waste. There is a lot of discussion around how much fat and how much carbohydrate should be in our diet. The government guidance is that 35 per cent of our energy should come from fat, and 50 per cent from carbohydrate. But I always say that it is not necessarily quantity but quality that matters. So with carbohydrates, you should be looking to reduce the sugar and increase those wholegrain carbohydrates that give you fibre to help with bowel function, and that are rich in nutrients such as vitamin E, calcium, zinc and iron. Bread with grains and seeds, brown pasta and brown rice are all recommended. These starchy foods aren’t fattening as long as you keep portion sizes sensible. And again, with fat, it is the quality that counts. So eat less saturated fat, found in cakes, pastries, biscuits, pies as well as processed meats such as bacon and sausages. Processed meat is also known to increase the risk of bowel cancer. Lean red meat is nutritious and can be included in a healthy diet because it is rich in iron, but the guide is just 70g per day. You’ll find ‘good fats’ in oily fish – your omega 3 oils – and monounsaturated fats are also recommended, as found in avocado, nuts, olive oil, and rapeseed oil, which can take the form of own-brand supermarket oil (which is usually cheaper than olive oil!). There is a myth that everyone needs to drink several litres of pure water per day. You don’t! Whilst water is the best option, coffee, tea, milk and other sugar-free drinks all count towards your total. Try not to drink large amounts of fruit juice though, because it is so high in sugar – stick to 150ml maximum once a day. With alcohol, recent figures from Public Health England reveal that 10.4 million adults have intakes that are harmful to health. One-in-four people could therefore benefit from reducing their alcohol intake. The current advice is no more than 14 units of alcohol per week for men and women, which is the equivalent of one and a half bottles of wine or five pints of 5 per cent beer, and that should be spread out over at least three days rather than consumed in one go. It’s a good idea to plan your meals, particularly if you’re watching your weight. It’s important to eat regularly, so a piece of fruit between meals will stop you getting so hungry that you end up eating the first thing that comes to hand, which can so often be crisps and sweets. Take food with you when you go out, bring leftovers – plan your snacks! It’s common for many people to eat late at night when they’re busy all day, and the evidence is controversial for how much harm that does. I think that if you do eat late, then try not to have a large meal; try to eat more at lunchtime – it makes greater physiological sense to eat more when you need the energy and are most active. One of the most important things you can do for your health is to be a healthy body weight. So, in addition to thinking about your diet, try to be as active as possible. 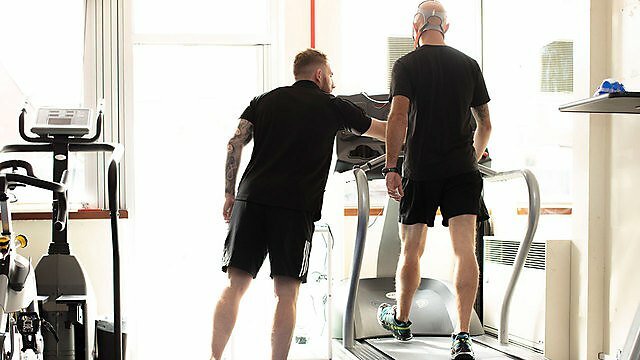 Government guidelines state 30 minutes of moderate activity five times per week, or 75 minutes of vigorous activity spread out over the week – running, cycling, football etc – are what you should aim for. Plus, two days per week should be muscle-strengthening exercise, such as using weights, or yoga, or resistance training of some sort. Also try to minimise sitting – stand up, stretch, move around. If you don’t have to sit for a phone call, take it standing up. It all helps to use energy and be more active. Having a sustainable diet is important for the UK and the wider world, and there are things we can do as far as our diet is concerned to contribute. For example, we can rely more on fruit and vegetables and use less meat and dairy products, the production of which has a high impact upon the environment. We encourage people to eat fish – around two portions per week, one of which should be oily fish – but check the source of it, to make sure it is sustainably sourced. We can buy more locally produced food, cutting down on the food miles and plastic packaging. And it might seem obvious, but plan what you need – we throw away so much food every year, so use leftovers, and keep an eye on those use-by dates. Bradley Morton had been a Royal Navy chef for 11 years when he had a moment of realisation. Always a keen learner on the subject of health and wellbeing, and someone who would proactively assist servicemen and women with meal plans, he realised that he simply did not know enough about the ‘science of nutrition’. Being based out of Plymouth, most latterly on HMS Drake, and with a young family in the city, Bradley applied for the BSc (Hons) Nutrition, Exercise and Health degree at the University. And once he had been accepted, he took the opportunity to redesign the Navy’s menu and conduct an evaluation as part of his course. 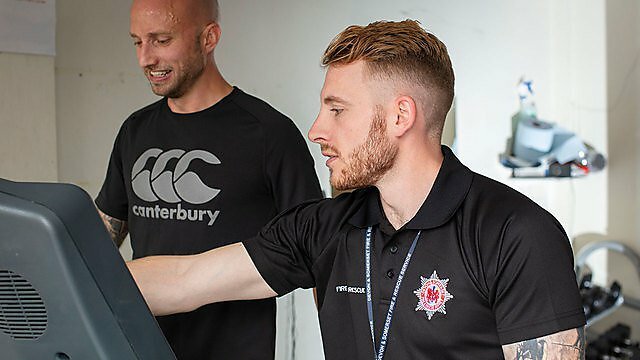 Bradley is now working for Devon and Somerset Fire Service as a Nutrition and Health Advisor, working closely with the occupational health team. 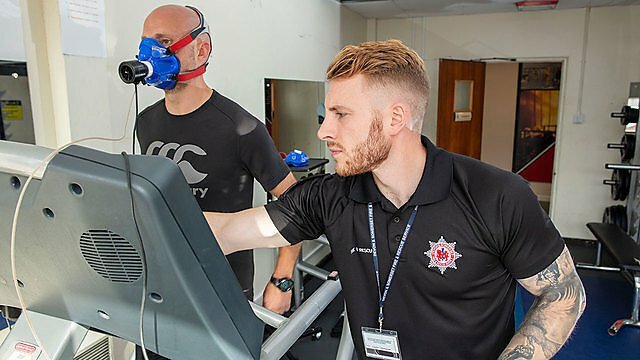 From measuring aerobic capacity to providing training and dietary advice, Bradley is on hand to help every full and retained firefighter meet the demands of what is a physically demanding and strenuous role. NATO and a resurgent Russia: towards effective re-engagement?